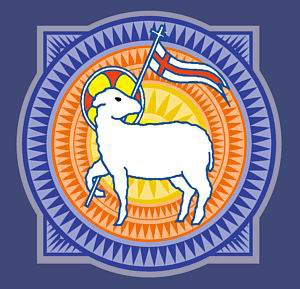 Oklahoma City University invites everyone to a special Easter Vigil on Saturday, April 23. This service dates back to the earliest days of the Christian church and is held the night before Easter, as a transition from Lent to the celebration of Easter. The presentation will follow the traditional order—Scripture readings, remembrance of baptism, and Holy Communion—and will be energized by the participation of students and faculty from the arts departments at OCU. The event begins with a gathering in Watson Lounge, in the lower level of Smith Chapel at 7:30 p.m. After a brief orientation, participants will go outside for the lighting of the Paschal fire and candle. The Spirit of Grace Liturgical Dancers will lead a candlelight procession into the sanctuary. Theater students and dancers will interpret select Scripture readings. Music, including the Generation Blessed Gospel Choir, hymns, and drummers, will move worshippers through the service. The service will end with a dramatic presentation of the resurrection story, followed by an Easter processional and Communion. This service is intended for people of all ages. Anyone wishing to be part of the volunteer choir is invited to rehearse, beginning at 6:45 p.m. in the chapel. For details: contact Rodney Newman, 405-208-5484, RNewman@okcu.edu.